To check the balance on the account, Bank cards are usually easy. You can do this at any ATM, by phone or via the Internet. Basically, this option is free, but may cost a small fee, charged monthly, yearly or one-time. Unlike plastic card cash wallet that you can't tell how much of her money. There could be billions, maybe zero. Many banks provide a service to inform the client about the balance on the account and all money on it via SMS and/or email. Notice of the transfer and withdrawal of money in the account come after each operation. In addition, once per day, the Bank informs the account balance.This service can be charged separately or be included in the package price with the annual or monthly Commission. But not always it allows you to answer how much money is available now. One way to quickly check the balance on the card ATM. It is not necessary to search a device from my Bank, will fit any that will be on hand.Insert the card into the ATM, enter the PIN and select the option "account Balance" (or "account Balance"). Some ATMs print immediately a receipt with the answer to our question, others offer a choice - bring it on the receipt or on the screen.By giving an answer, the ATM often have a choice whether you want another transaction (withdraw cash, pay via the device services, etc.) or pick up a card. But there are those who immediately give card. To verify the account by phone, you need to call the Bank. The phone listed on the reverse side of the card. Often, along with the city room is available and free for the caller with the prefix 800. The conversation in this case paid by the Bank. This is useful if calls from mobile phone or from another city. 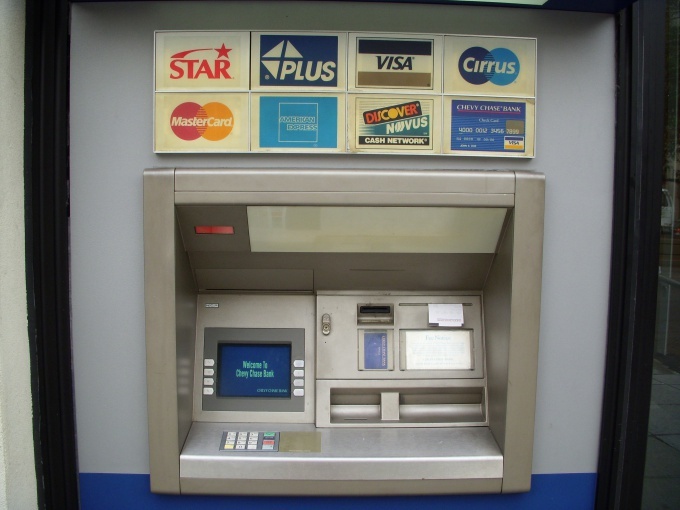 Most likely, the answering machine will answer, and tips which will inform you which key to press to select the desired option.For identification, the Bank will be asked to enter the card number. Usually also requires a special code that the client receives along with the card, when connected to the service or myself comes up when you activate the card. If you have Internet banking (provided by most credit institutions, as in modern conditions without it in the banking services usually makes no sense) balance can be easily verified via the Internet. To do this, go to the relevant page on the Bank website and enter a username and password. Some banks give customers the scratch card with varying codes. The system asks for the ID number that the client erases the protective field on the map next to its number(preferably with the edge of a coin) and enters the opened code. Then just navigate the links in the interface of the system. Some banks charge a fee for the verification of the card account balance through foreign ATMs. In this case, with a small residue it is better to use your your Bank or other free methods. The benefit of using the services via telephone and SMS to inform about the account balance depends on the tariff policy of the Bank. In some it may be provided free or included in the services for which the customer is charged a fixed annual or monthly fee. For use bankingom a Commission is usually not charged.